Before I embarked on my annual summer trip to Chicago, I wanted to venture out for more icy treats around the city. And I also wanted to make one more batch of popsicles. It was refreshing to taste real popsicles since I've been making so many homemade ones that I forgot how a proper one is supposed to taste. 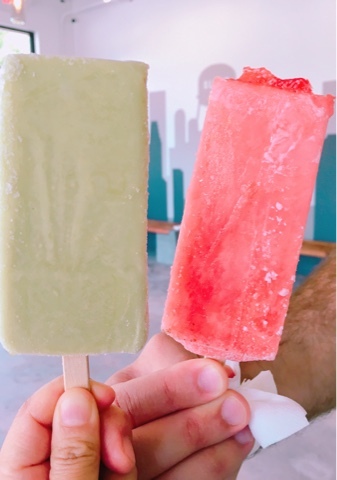 Steel City Pops (a chain of gourmet popsicles) recently opened its doors in the Heights neighborhood of Houston. My avocado pop and my friend's strawberry lemonade pop were both super tasty. 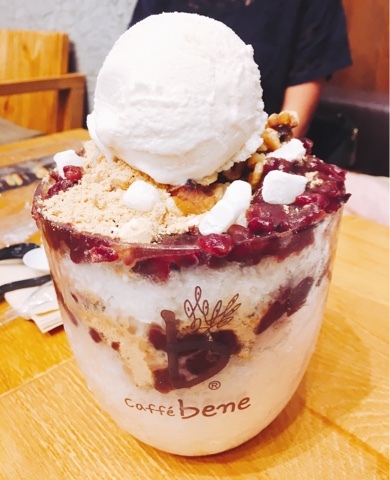 The Korean import, Caffe Bene, was also a fun stop to get the icy red bean dessert: bingsu, which is a Korean shaved ice topped with sweetened red beans, ice cream, nuts and mochi bits. 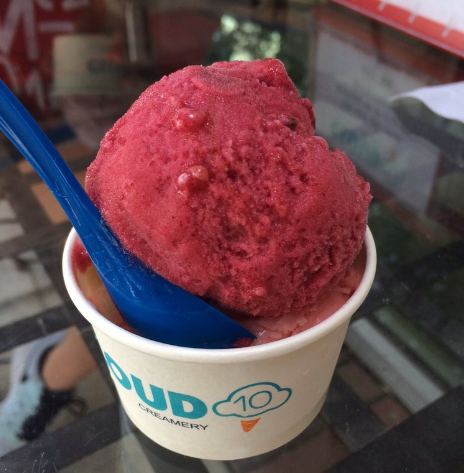 Cloud 10 Creamery was a great place to sample unusual flavors of ice cream. I tried one with cilantro and another with sesame oil and black garlic but then ended up with a safe tropical fruit flavored sorbet. And finally my last popsicle adventure until I return in August. They were a little spicy (maybe I'll tone down the cayenne next time) and fruity and pretty tasty. 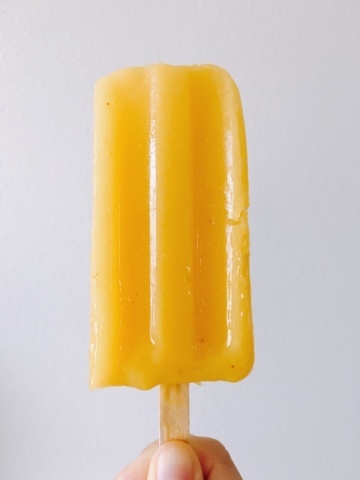 They're great since there is no added sugar and have a little kick to elevate them from an average fruity popsicle.